Paradise means different things to different people. When I hear the word paradise, Polynesia is what I think of. The islands have all of the ingredients: warm clear air and water, majestic land, exotic natives, and an ancient sailing culture. For me paradise is a temperate place. 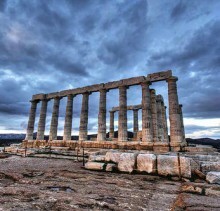 A place where climate and culture require minimal clothing. Warm also describes the people. As you treat them well you receive the same. 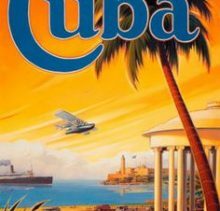 Of course, paradise should have a history of welcoming explorers who have crossed oceans to discover it. It might also include white sand islets and live coral reefs to provide for and entertain us. And the island in the center should be jagged and dramatic. No rolling hills here, that’s too easy. The land in paradise is steep and challenging, a breeding ground for waterfalls and adventure. 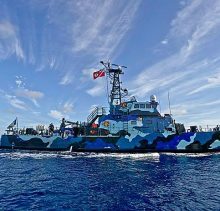 We have been invited to sail along with a flotilla of Cruising Outpost boats. Of course, we will be doing ours in style. 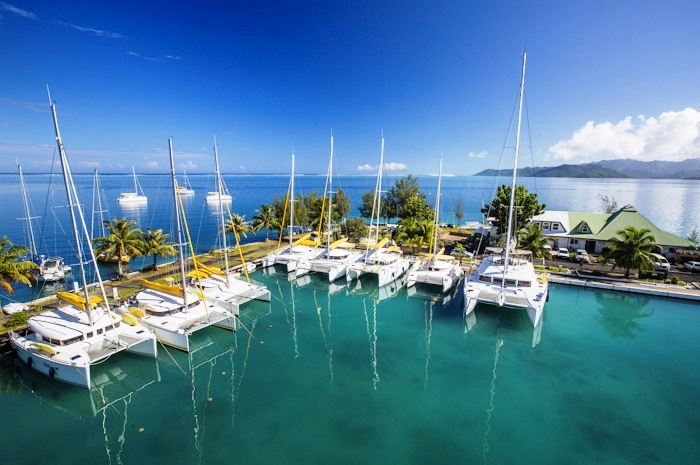 We have two extra days and are giving our sailors the option to wake up in a resort on amazing Huahine and look out to see your yacht awaiting. 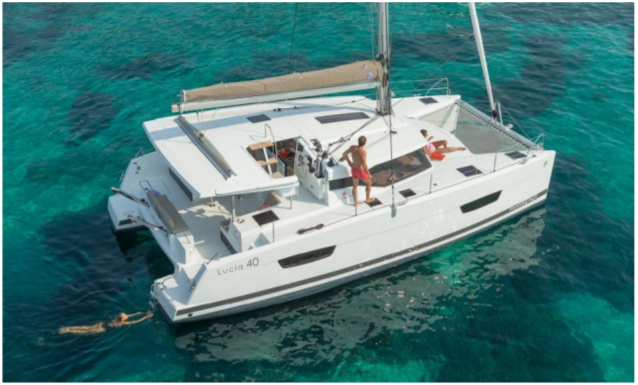 We have a nice Nautitech 44, 4 cabins, 4 heads, with captain John M.
Our second boat, should we need it, is a smaller newer Lucia 40 – 4 cabin, 4 head with captain Woody. Travel tips … Airport code for the international Papeete Tahiti airport is PPT, book on any site. 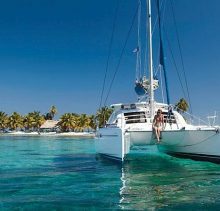 Option to sail with the the cats from Raiatea – RFP or meet them in Huahine – HUH, these flights booked through AirTahiti.com. Charter base is on RFP. We have our sailing cats from noon on June 29 to noon on July 7. 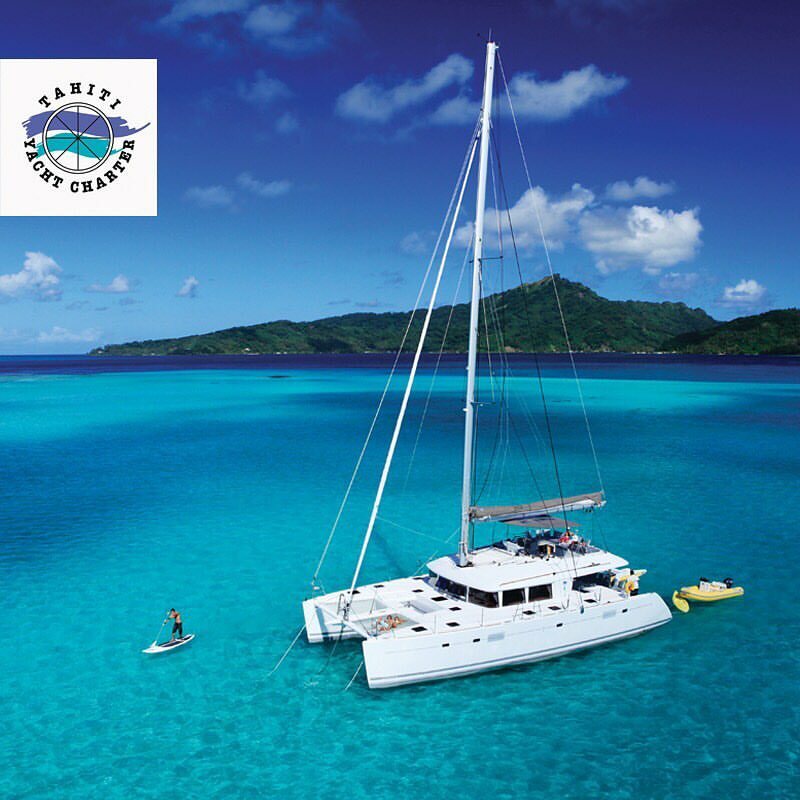 If you would like to take advantage of the downwind sailing option, your sailing cat will meet you in the beautiful lagoon off Mahina Ralais resort. 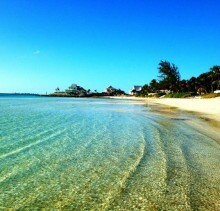 Book your room for June 29th at least and be whisked off the beach on the 30th. Book through your favorite site or directly Lemahanahotel.com. 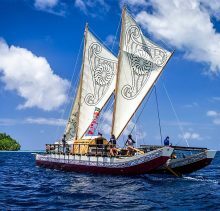 If you are joining our Sail Tonga Adventure just prior then good news, your travels will take you through Auckland, New Zealand! See bottom of page for travel tips. What to Expect … Everyone works together on Adventure Voyages. 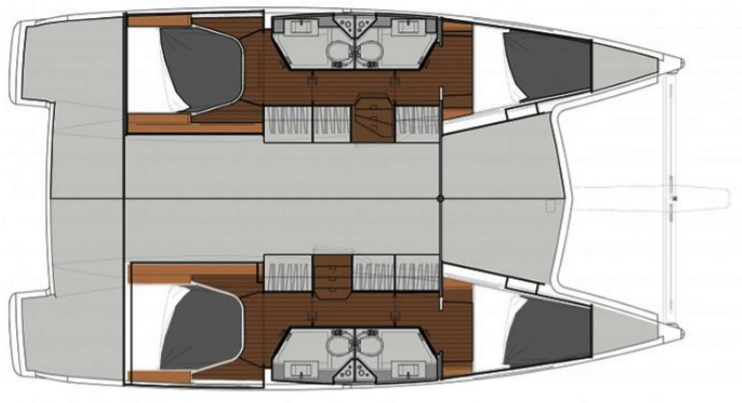 To the extent that you are able … you help with lines, fenders, hoisting, helming, trimming, navigation, mooring, anchoring, etc. Anything you would like to learn, your skipper is there to teach. And if you eat and don’t cook, you ought’ be good at dishes. 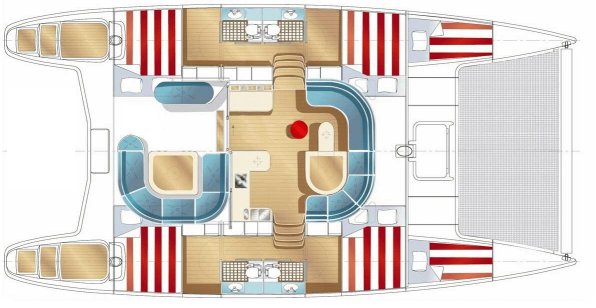 Price includes your cabin on the yacht, and partial provisioning – food for simple breakfasts and lunches, some dinners/BBQ. Tahiti has amazing food fare ashore, expect to add some local flavor to your adventure. Travel is extra. We publish tips. Passports and a return ticket are required to enter French Polynesia. Cabins booked first come, first served. Boat will be one booked or similar. Deposit is $1500 couple, $1000 single. Balance due 60 days prior to cruise. 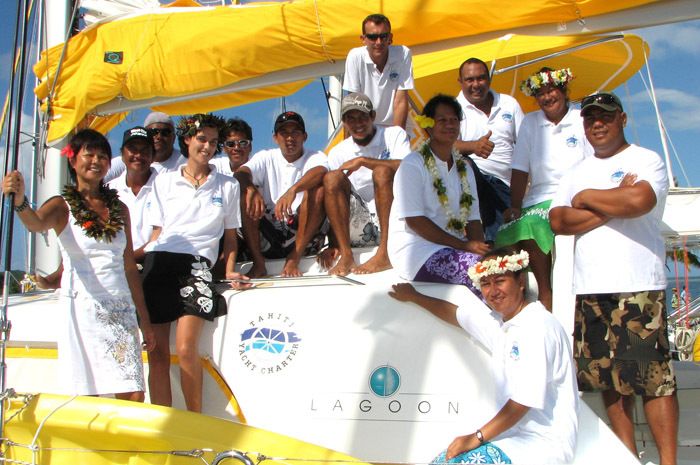 Our best skippers are fired up to do some Polynesian Adventuring and teaching with great people. 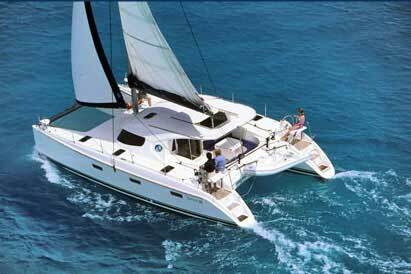 They are hand picked for their easygoin’ fun and ability to impart their sailing knowledge to others. Tahiti Yacht Charters has some beautiful cats for us. Our blissful cruise through paradise will make memories to last a lifetime. Pix from last Tahitian Adventure, Click Here. The route is VAV-NAN, NAN-AUK, AUK, PPT, then a hopper to RFP (or HUA). 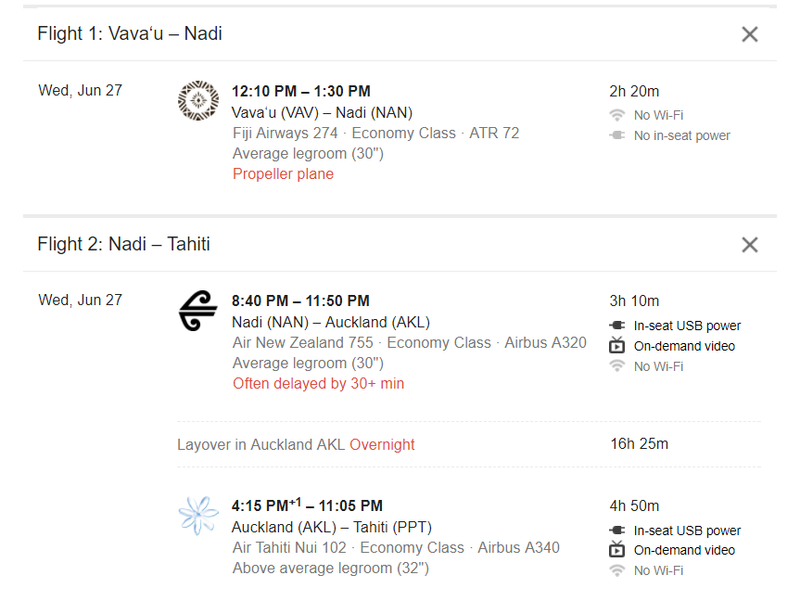 We are hoping a more direct option pops up but for now via google.com/flights, click Multi-city, put in VAV and NAN on Jun 27. Click Add a flight, put in NAN and PPT on Jun 27. This gets you to PPT for about $900. Book an airport hotel in Aukland for Jun 27. Book an airport hotel in Papeete (I like the one across the street). 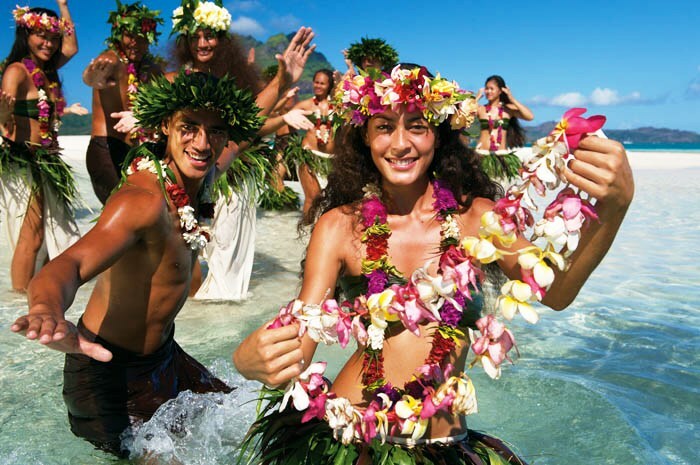 Get on one of the morning flights to HUA or RFP, booked thru AirTahiti.com. Flight options Tonga to Tahiti, as of Jan 22, 2018.